Today’s show is about setting boundaries and drawing a line in the sand. It’s about keeping the things that are treasures and not bringing the junk into your life. We share a story about our dad and the things he collected when we were kids. As well as, our mom’s reaction to the collection and the boundaries she set. Our hearts go out to everyone affected by Hurricane Harvey. Seeing how the devastation has brought people together is amazing. We also have a special place in our hearts for all of the animals affected and all of the amazing people helping them. We challenge everyone to donate and help out. We also talk about speaking the truth and our plans to grow the podcast. We review last week’s affirmations from our listeners, and we revise our own affirmations a bit. Patrick even shares his goal formula of visualize, analyze, and achieve. Michael shares the rules for the 40-day and 40-night affirmation challenge and the 6 steps to saying an affirmation. We are glad you are here, and we hope you enjoy the show. [05:40] How the hurricane in Texas has been bringing out the best in people. Especially, the people who are out there rescuing the animals, and a challenge to donate. [07:32] How Harvey has been the worst storm in 1000 years. Climate and weather conditions are changing and becoming more intense. [08:14] How all of your material possessions can be done in a matter of days. [09:00] How the eclipse affects the tides, and how the intensity of the eclipse is beginning to wane. [09:38] Michael came home and found a big lost dog in his laundry room after he had just posted about how to donate to animals affected by Harvey. [11:11] Patrick’s 3-hour periodontal cleaning and the joy’s of nitrous. [16:55] Speaking the truth and share what is coming from our hearts. [17:40] Michael’s super secret meditation society and a deep vision back to his childhood and forward to things he wants to manifest in the future. [19:31] Michael’s intention of looking at the eclipse and all of the things that he wants to do, along with wanting the podcast to do well. Watch out, Joe Rogan. [20:50] As the truth resonates with people, they will share it. [24:06] The scientific method and its origins. It all starts with an observation. State a problem. Form an hypothesis. Conduct experiment, analyze data, draw a conclusion. [25:42] Using the scientific method to test The Hollow Tube. 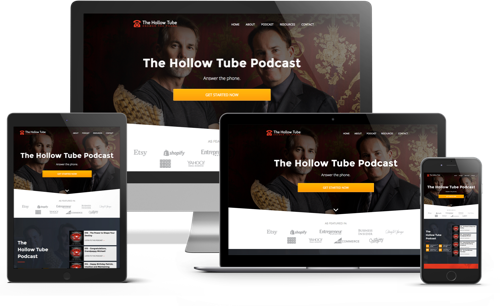 [27:04] The Hollow Tube experiment to promote the podcast. [28:58] A story about football dads watching all of the practices. [31:53] Over enthusiasm and crushing your child’s spirit. [34:40] How our kids teach us how to be parents. [35:58] Affirmations in present tense and feeling the feeling of getting what you want. [39:00] How Patrick was aware of affirmations even as a kid. [41:19] Setting a goal, figuring out how to achieve it, unlocking the secret code, and then doing everything possible. [42:44] Goal formula: set your goal – visualize, find the secret code – analyze, achieve your goal – realize. [45:07] How affirmations need to be goal driven. [46:42] The rules for the 40-day 40-night affirmation challenge. They need to be clear, concise, compelling, and positive. Present tense and challenging and a little bit uncomfortable. Dig deep. Take baby steps. Write it down in colored ink. [48:46] 6 steps: ground yourself, hands over year heart, think of two things you are grateful for, say it out loud either 4 or 7 times, Twice a day morning and evening, and for 40-days and 40-nights in a row. [53:05] Go outside. Face the rising sun. The rising sun represents new beginnings. Create a sacred circle out of salt or rocks or anything. 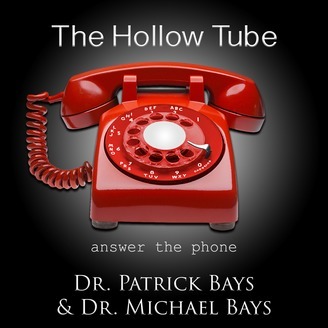 The circle can even represent the hollow tube. Take off your shoes or even all of your clothes. You can even smudge the area with sage. Keep it secret. Write things down at the beginning, middle, and end. [56:50] Listener questions: Situational awareness, worry, and thoughts create our circumstances. Worry isn’t healthy, but prudence is a survival trait. Find the middle ground between danger and mindlessness. Confidence. [01:01:00] Worst Game of Thrones Podcast Recap Ever: The end of Game of Thrones Season 7. [01:05:13] A visit from Grandpappy.